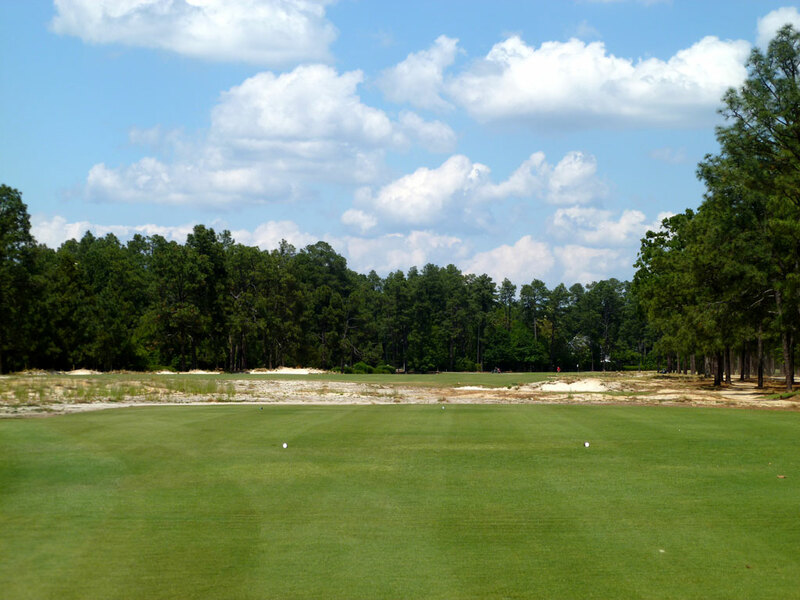 Course Website: Official Website - Visit Pinehurst Resort No.2's official website by clicking on the link provided. 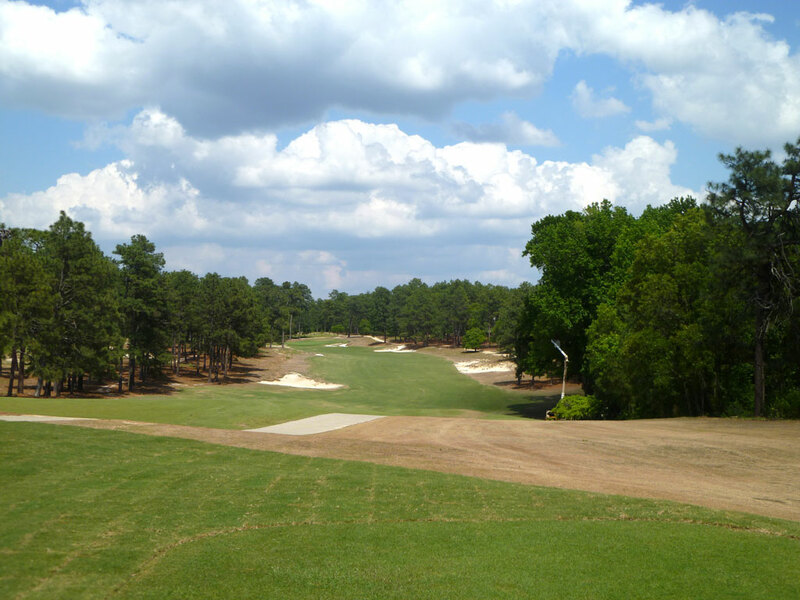 Accolades: Ranked 3rd in North Carolina on Golf Course Gurus' Best in State list. 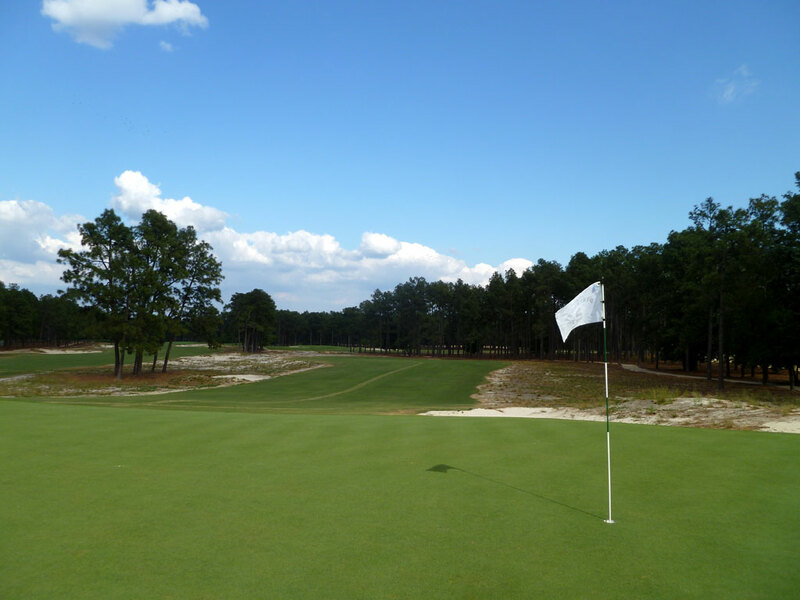 What to Expect: What to Expect: The newly remodeled #2 course at Pinehurst eliminates the penal rough and reintroduces golf’s greatest gift and what the area is so well known for; natural sand. 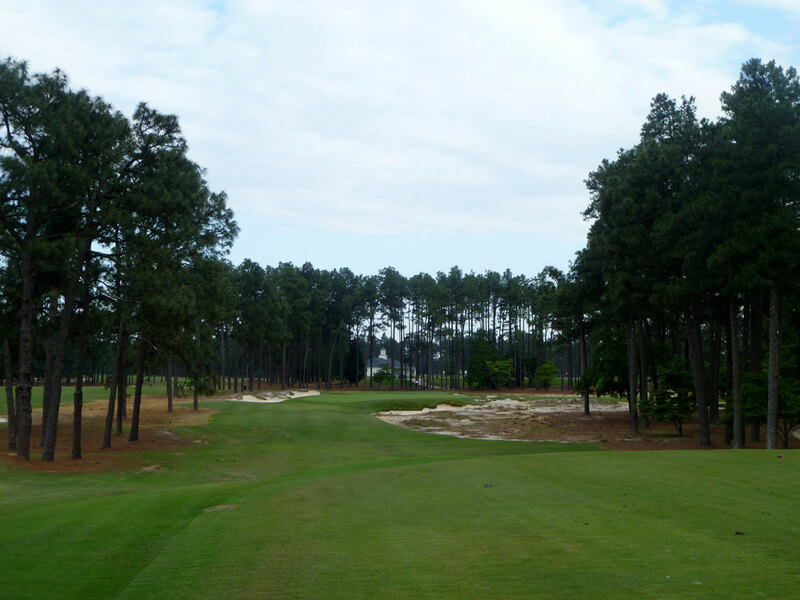 The sandhills of central North Carolina are an iconic feature and now line both side of each fairway at Pinehurst #2. The irrigation system was redone with a single sprinkler line running down the middle of the fairway; whatever it reaches is cut to fairway height and whatever it doesn’t reach is sandy waste area. The famous dome greens have been softened in places but will play plenty challenging whenever they are dried and firmed up for major tournaments; such as the Men’s and Women’s U.S. Opens being held there in 2014. The facility oozes with tradition reminders including Donald Ross’ famous quote about Pinehurst #2 found at the opening tee box and the larger than life statue of Payne Stewart celebrating his putt on the 72nd hole in the 1999 U.S. Open. Signature Hole: 18th Hole – 453 Yard Par 4 – Standing on the final tee at Pinehurst there is a lot going on. There is the emotion of playing the last hole of the day, the challenge of a 453 yard uphill two-shotter, and tons of trouble to find as a massive waste bunker crosses in front of the tee and works its way up the right side. Bunkers provide a wall of defense in front of the elevated green and demand a high, soft approach shot. The 18th hole is a perfect example of what Pinehurst is all about. Demanding, yet fair, tee shots followed up by equally demanding approach shots. #2 is simply a shot makers course, which by #18 you will be well aware of! Best Par 3: 17th Hole – 208 Yards – The final par three at Pinehurst #2 plays just a touch downhill and in surrounded by bunkers. There is one opening at the front left corner of this green that angles back and to the right, begging for a towering fade. Missing long or right will be tougher to save par from then short or left due to the slope and amount of green to play with. At just over 200 yards, this is a nice, challenging par three but not murderously long like some championship courses have adopted. 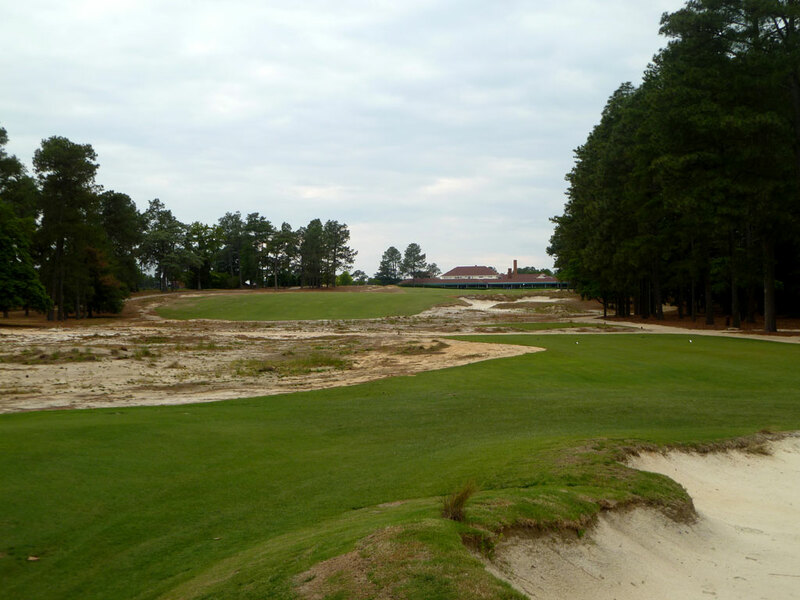 Best Par 4: 5th Hole – 476 Yards – The 5th hole at Pinehurst #2 may be the most celebrated par four in North Carolina. 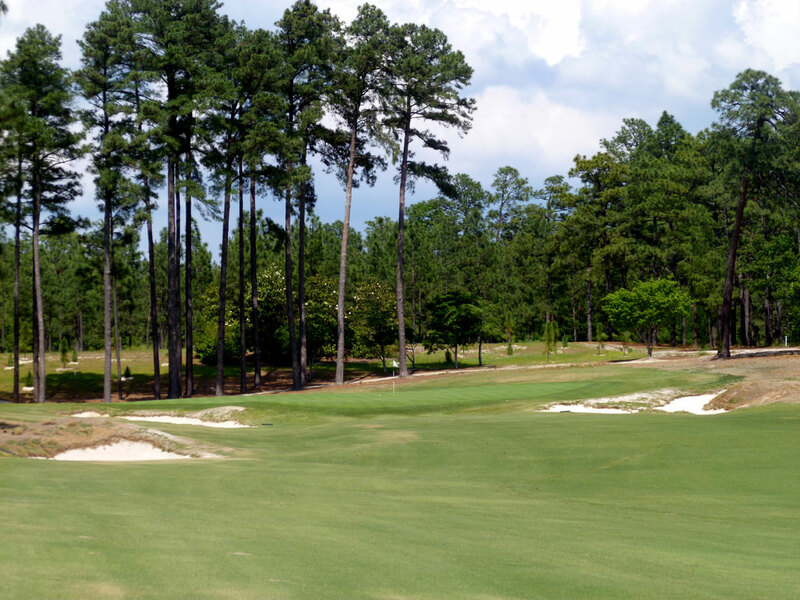 Virtually every list attempting to identify the best holes in North Carolina will tout this stiff two-shotter as the finest around; and they are right! 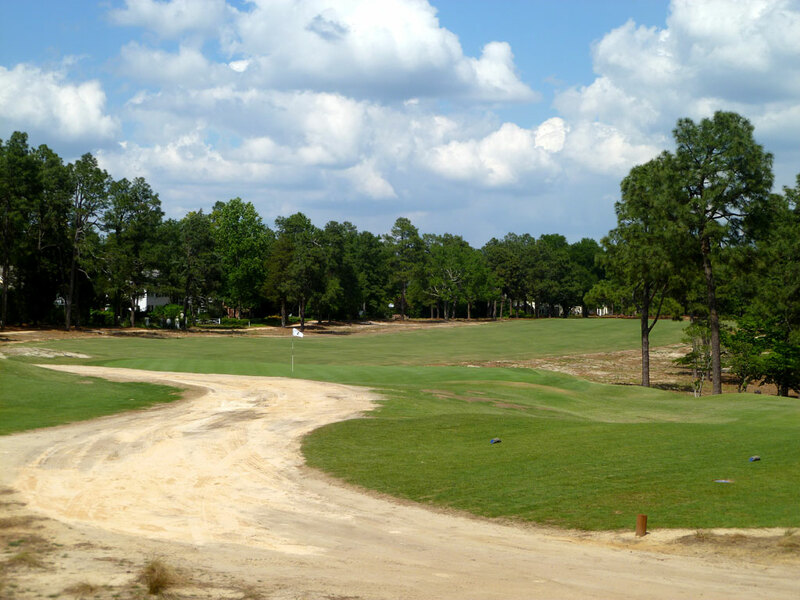 This big par four doglegs to the left and features a waste area on the inside corner while trees line the right side. The fairway slopes from right to left, naturally assisting in drawing the ball, which can prove to be a big challenge given the slope of this green complex that will boost ball back and left and often down a hill creating a near impossible up and down. During the U.S. Open, players more often than not will fire at the front right portion of the green leaving themselves an easier up and down or two putt. Flirting with the left side of this green is a death wish. There is no room for error on this hole; Pinehurst’s greatest test. 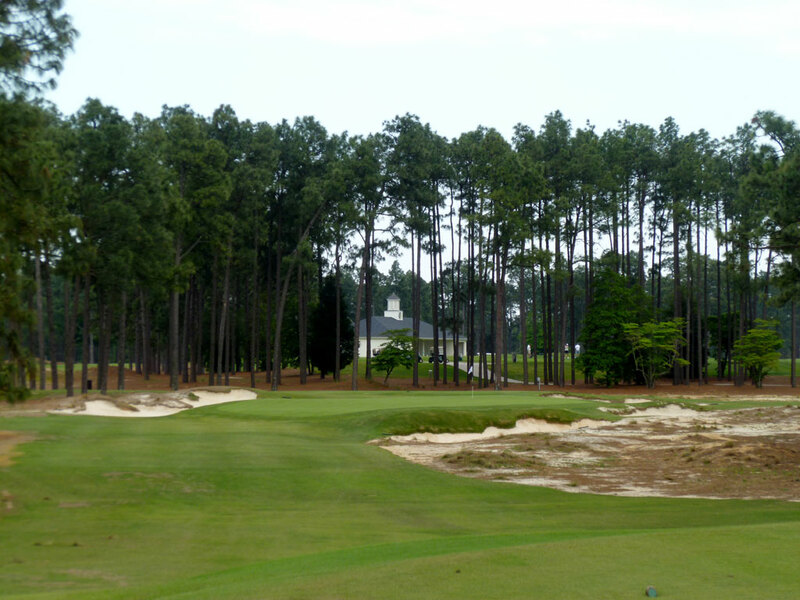 Best Par 5: 4th Hole – 569 Yards – Playing from an elevated tee, Pinehurst’s first par five is also its best. The hole turns gently to the left and is your best chance to reach a par five in two due to the downhill tee shot and the relatively short length. Waste bunkers are found randomly along the outside of the fairway with bunkers also being featured left and right of the green. The putting surface tilts hard right to left and acts as the hole’s biggest defense. 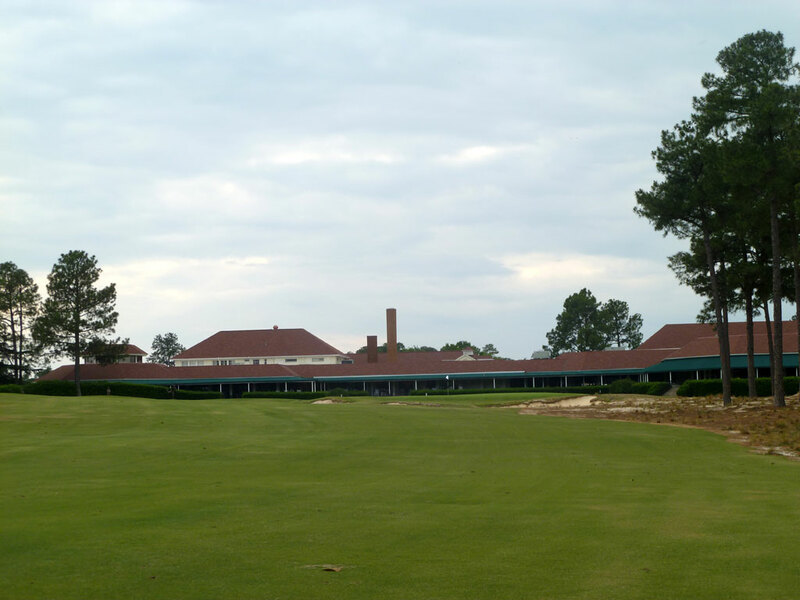 My most memorable shot at Pinehurst came on this hole where I hit a sweeping draw from the left pine straw to reach the green in two on my way to a birdie. Birdie Time: 13th Hole – 385 Yard Par 4 – – There is little reprieve offered at the famed No. 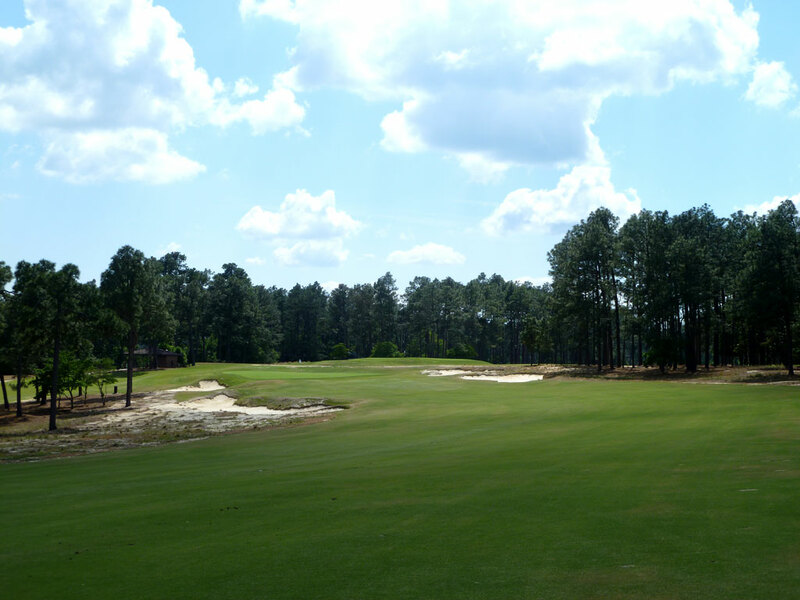 2 course at Pinehurst, so when encountering this sub-400 yard par four, taking a stroke back should be on your mind. The 13th hole turns gently to the right and features plenty of room up the left side of the hole and the opportunity to shorten the length by busting a big drive up the right side over the neighboring bunker. The green is elevated and features bunkers short of the putting surface. You should have a scoring club in your hand and playing to one of the tamer greens on the course, so go get your birdie! Bogey Beware: 2nd Hole – 503 Yard Par 4 – Donald Ross said that championship golf courses, like Pinehurst #2, should “call for long and accurate tee shots, accurate iron play, precise handling of the short game, and finally, consistent putting.” To walk away with a par at the lengthy second hole, at least three of those elements better be spot on. The new, wider fairways will help players be willing to swing away more, which will need to happen in order to have any kind of iron in their hand for the approach shot. The hole turns gently to the right and is framed by trees and waste area on both sides. The green opens up better when approaches are brought in from the left side of the hole, but that also lengthens the overall distance of this already beastly long par four. 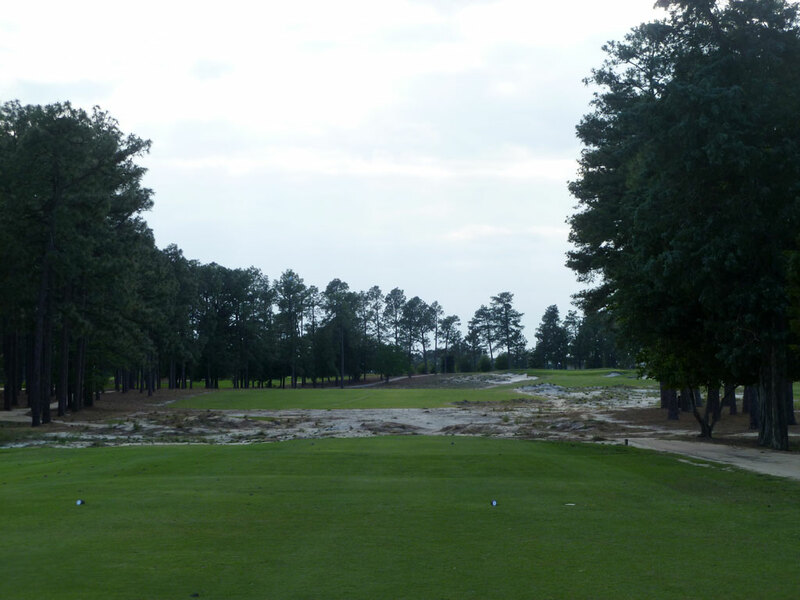 Donald Ross said that Pinehurst No. 2 offered the best test for championship course he ever designed and he wants to know from you right off the bat whether you are worthy of the challenge.